Christmas seems to come and go in the blink of an eye. 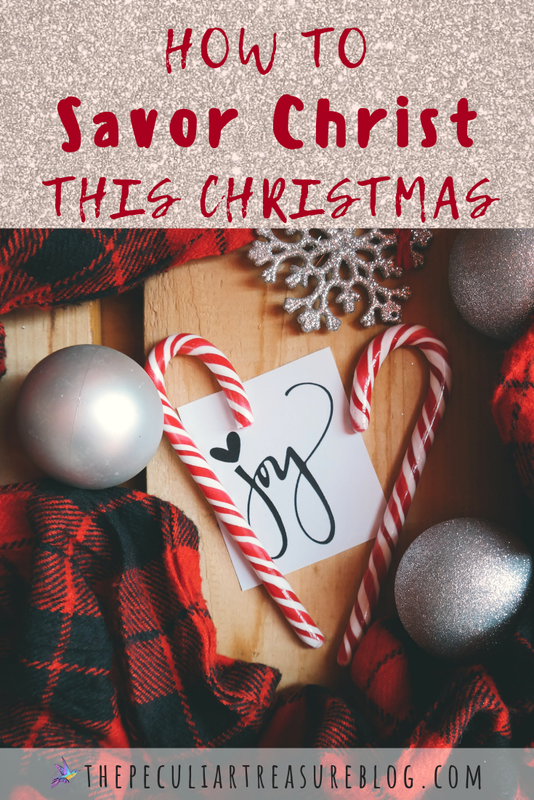 Advent is here and we are all anticipating Christmas day, but how can we make sure that while the holiday season is here we are savoring Christ and putting Him first? How can we start slowing down and making Christ the center of Christmas in an active and intentional way? Learn 4 tips for putting Christ first this Christmas season. I've known for a while that the older I get, the more I see my own flaws and see things that need improving. I think this is just part of being an adult - especially as a Christian who is seeking to grow and progress with God. And I'm thankful for what I learn, because it gives me an opportunity to improve. But man-oh-man, sometimes I don't like the insights I get about myself. One thing I am learning about myself is that I really don't celebrate the real meaning of Christmas like I should. I tend to focus on my plans, my wants, my time with family, and my idea of the best traditions. But that isn't what Christmas is about - like at all. It's fine to enjoy tradition. It's fine to be excited about spending time with family. It's even fine to get excited about gifts, if you are very wise in your focus. But gosh, it hurts my heart to think about how, even my desire to give gifts to others is selfish at times. The real meaning of Christmas is not about me. Christmas is all about Christ. My focus should revolve around Him. My gift-giving should be a symbol of His generosity. My gift-receiving should be in Thanksgiving for all the blessings He has given in excess. My plans, traditions, and over-all savoring of the Holidays should be covered by an understanding and appreciation of my ability to be able to enjoy them in the first place. My time with my family should be a time of loving on them with selfless giving, as Christ has offered Himself to me. As we approach this Christmas season, as we celebrate advent, and even as we enjoy our favorite traditions, we must learn how to make Christ supreme in all of it. 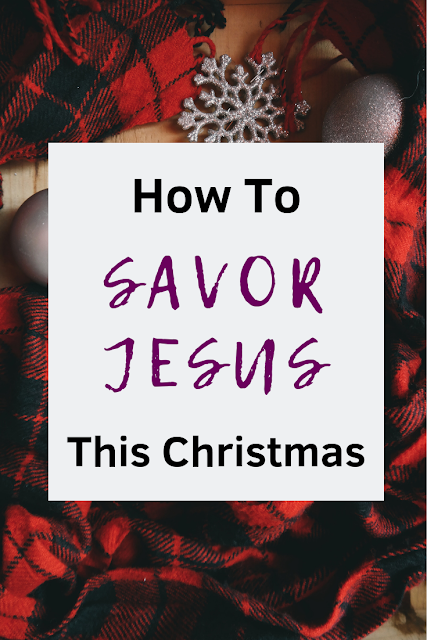 So today, I'm sharing my four tips for savoring Christ this Christmas, and putting Him first this holiday season. Because I am learning so much about my own selfishness this season, I am seeing that in order for me to focus my attention where it should be, I need a reminder every.single.day. Not just on the Sundays leading up to Christmas. Not just on the days that I'm feeling less "jolly". But every day. For me, this means choosing devotionals that remind me what Christmas is all about. I'm honestly not sure if I've ever had a Christmas devotional before. I could easily be forgetting something, but I can't remember one in particular. But this season, I am working through two devotionals for the Advent season that are helping me keep my focus on Christ. Cultivating a Heart for the Nations is an interactive family devotional that introduces us to people groups from all over the world who have never heard the gospel, or who do not have a Bible translated into their language. Renee, the creator of the devotional, offers this as a FREE resource for anyone who is interested. There are daily scripture readings, discussion questions, and activities for kids. There are also video/audio clips that she shares in the corresponding Facebook group that allow you to hear the native language of the people group of that day's lesson. Renee's heart is for us to begin praying for these unreached people, as well as doing what we can to help. I believe this is a great thing to focus on during the Advent season, as it aligns my heart with the things that are truly important. 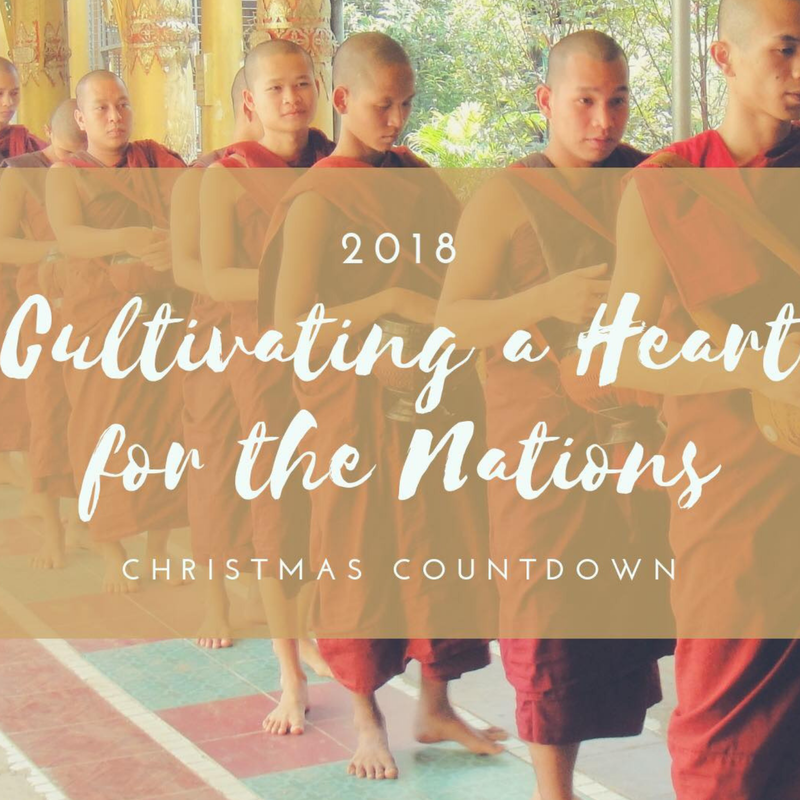 You can download the free Cultivating a Heart for the Nations Devotional here, and you can join the Facebook group here. 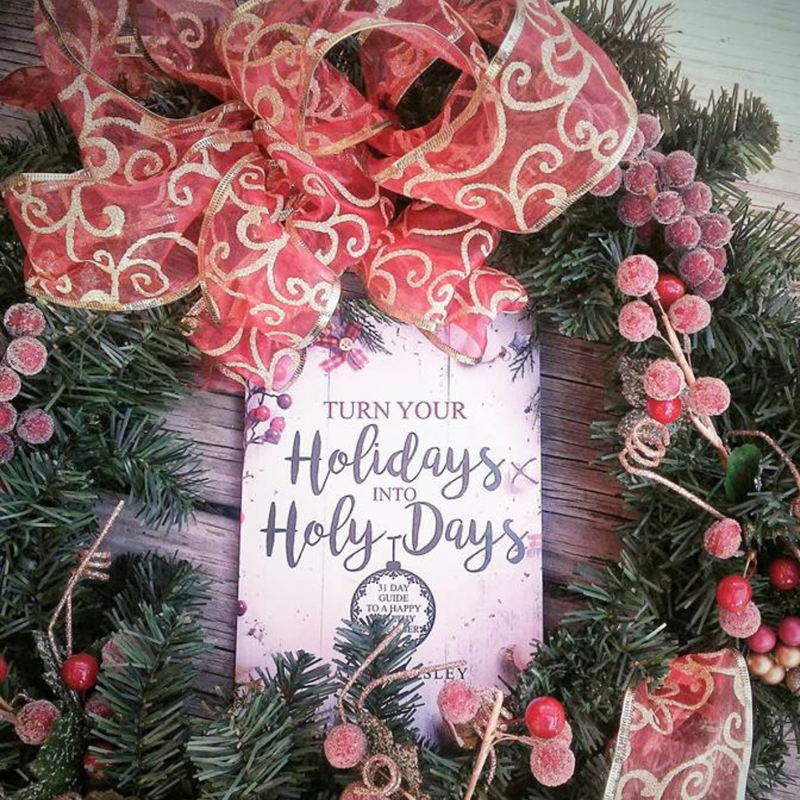 I recently mentioned my friend Marsha Apsley and her new book "Turn Your Holidays Into Holy Days" in my post about the best Christian books for women. 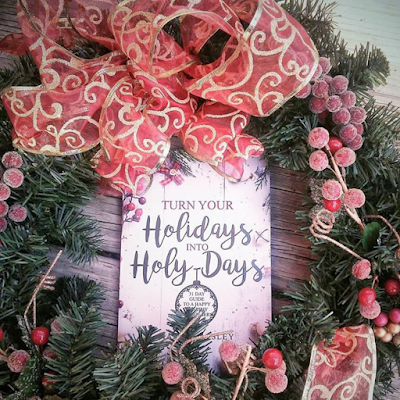 Marsha's book can be used year-round, but it is geared towards the holidays. It focuses on being healthy through the holidays both spiritually and physically. I am using this book as a reminder that my days during this time of year (and every day of the year) are meant to be holy days, given to God. This reminder is much needed and is another piece of helping me focus on Jesus. I was first introduced to the idea of Hygge two years ago when I read a blog post on the topic. I love learning about Hygge because it very much embraces some of my favorite parts of life: the cozy, the cuddling, the slow, and the savoring. And thankfully, there are people like my friend Bailey of The Thin Place who have shown me that Hygge is also a great thing for the Christian life. Hygge is about slowing down, being intentional, and savoring the things that help us calm down, appreciate life, and enjoy the blessings around us. It allows us a stillness that is more conducive to a healthy introspection that is glorifying to God. For me, Hygge at Christmas time means getting warm under a cozy blanket. It means lighting my favorite candle and sitting still while I enjoy the Christmas tree. It means actually taking in my nativity scene and thinking on what it symbolizes. It means savoring the twinkling lights, the smell of fresh-baked sugar cookies, and taking enjoyable sips of peppermint hot chocolate instead of gulping it down before I move on to my next task. Hygge gives us an opportunity to reflect on God's goodness and glory without distractions. Cheesy as it sounds, it helps us get cozy in the presence of God. I like the sound of that. I love Christmas music, and I've seen almost every Christmas movie on Netflix. I thoroughly enjoy both, and there's nothing wrong with that, in my opinion. But if we really want to focus on Jesus this Christmas, we need things that are pointing us to Him. And as much as I enjoy the Pentatonix rendition of "Winter Wonderland", that's not something that is pointing me to Christ. Don't get me wrong - I continue to listen to my favorite secular Christmas tunes, and I still watch my cheesy Christmas movies. However, I am also in need of music and other media that puts the spotlight on Christ. I find that Shane & Shane, Keith and Kristyn Getty, and Relient K do a great job with Christ-centered Christmas music that savors the Savior. 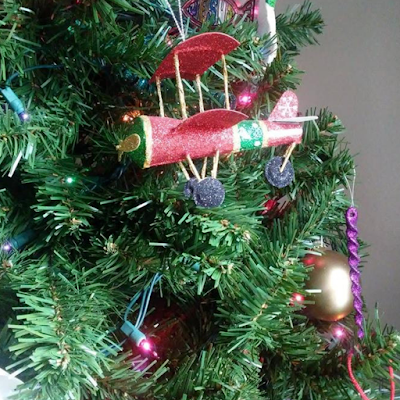 So I have compiled a Christmas playlist for you on Spotify. Enjoy these Christ-centered songs and let them aid you in savoring Jesus this season. 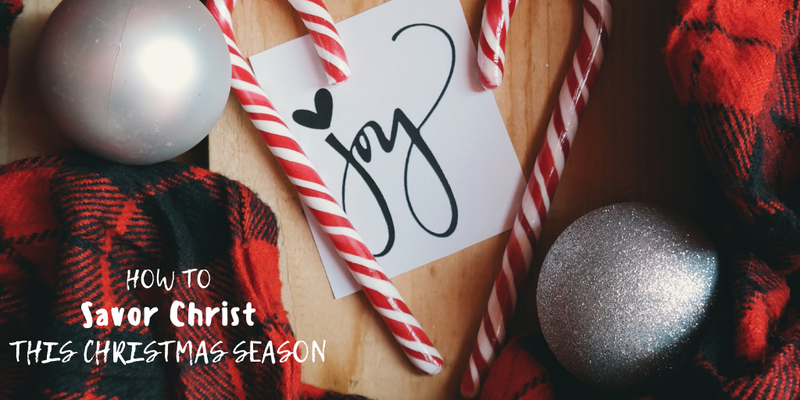 It's easy to get so caught up in our Christmas to-do lists and fun activities that we forget that the whole reason we celebrate Christmas is focused on Christ. Gifts are fun. Parties are fun. Time with family is fun. But forgetting to spend time with the one who matters most defeats the entire purpose of our celebration. So, if you get only one thing from these tips, let it be this: spend time in God's Word and in prayer. You cannot savor Jesus without this step. Your savoring of Jesus cannot occur if Jesus is thrown to the side and replaced by less meaningful things. And if, like me, you've already been guilty of this, then repent and restructure how you are doing things. Don't beat yourself up, just ask God to help you savor Him and take steps to do just that. 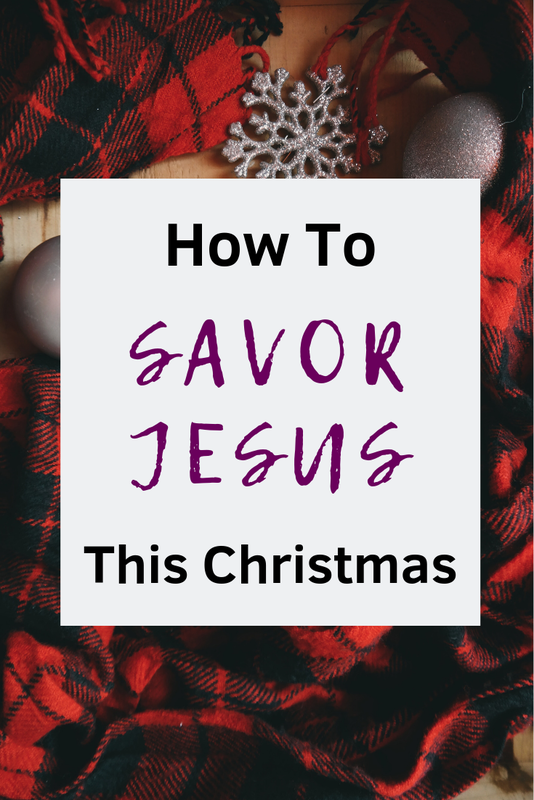 What will you do to savor Jesus this Christmas season?